Émile Jaques-Dalcroze (July 6, 1865 – July 1, 1950) was a Swiss composer, musician and music educator who developed Dalcroze Eurhythmics, an approach to learning and experiencing music through movement. Dalcroze eurhythmics influenced Carl Orff's pedagogy, used in music education throughout the United States. Dalcroze's method teaches musical concepts, often through movement. The variety of movement analogues used for musical concepts develop an integrated and natural musical expression in the student. Turning the body into a well-tuned musical instrument—Dalcroze felt—was the best path for generating a solid, vibrant musical foundation. The Dalcroze method consists of three equally important elements: eurhythmics, solfège, and improvisation. Together, according to Dalcroze, they comprise the essential musicianship training of a complete musician. In an ideal approach, elements from each subject coalesce, resulting in an approach to teaching rooted in creativity and movement. Dalcroze began his career as a pedagogue at the Geneva Conservatory in 1892, where he taught harmony and solfège. It was in his solfège courses that he began testing many of his influential and revolutionary pedagogical ideas. Between 1903 and 1910, Dalcroze had begun giving public presentations of his method. In 1910, with the help of German industrialist Wolf Dohrn, Dalcroze founded a school at Hellerau, outside Dresden, dedicated to the teaching of his method. Many musicians flocked to Hellerau, among them Prince Serge Wolkonsky, Vera Alvang (Griner), Valeria Cratina, Jelle Troelstra (son of Pieter Jelles Troelstra), Inga and Ragna Jacobi, Albert Jeanneret (Le Corbusier's brother), Jeanne de Salzmann, Mariam Ramberg, Anita Berber, and Placido de Montelio. With the outbreak of World War I in 1914, the school was abandoned. After the Second World War, his ideas were taken up as "music and movement" in British schools. 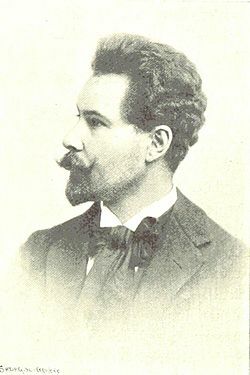 Émile Henri Jaques was born in Vienna, in 1865. 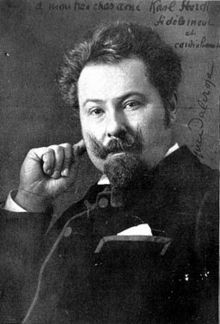 He later adapted the name Émile Jaques-Dalcroze. His mother, Julie Jaques, was a music teacher, so he was in contact with music since his childhood. Naturally, by influence of his mother, Dalcroze formally begun his musical studies still in his early years. When he was 10 years old, his family moved to Geneva, Switzerland, and in 1877 Dalcroze joined the Conservatoire de Musique. He also studied at the College of Geneva, which he did not appreciate. Dalcroze considered the College as a "prison" where education was basically rules, which were not concerned about the students' interests. In 1881, he was part of Belles-Lettres Literary Society, a students' group dedicated to acting, writing, and performing music in general. At that time, Dalcroze felt more interested in composing. In the year of 1884, he studied composition with Léo Delibes and Gabriel Fauré. Around the same year he was part of the Comedie Francaise. Further on he studied composition with Mathis Lussy, which influenced him in the process of rhythmic development. By the year 1886 he was the assistant conductor in Argelia, where he discovered Arabia's folk music. In contact with this kind of music, Dalcroze noticed that there were different worlds of rhythmic expression, where each of them would require a particular way of writing, as well a unique performance style. Accordingly, he developed a new kind of music notation. In 1887, he went to Conservatory of Vienna, where he studied with Anton Bruckner. He enrolled at the Conservatoire de Musique de Genève in 1892, but in 1910 he left the Conservatory and established his own school in Hellerau, nearby Dresden. Many great exponents of modern dance in the twentieth century spent time at the school including Kurt Jooss and Hanya Holm, Rudolf Laban, Maria Rambert, Uday Shankar and Mary Wigman. In 1911, Dalcroze and his students were invited by Prince Sergei Volkonsky to show their work in St. Petersburg and Moscow, establishing eurhythmics at the Moscow Art Theatre and inspiring Stanislavski's "tempo-rhythm". He came back to Geneva in 1914 to open a new institute and in 1920 the school was moved to Helleray Laxenburg, near Vienna. However the school was closed by the Nazis. He died in Geneva, on July 1, 1950. In his search for a more intense rhythmic experience, Dalcroze posed some questions. First, he questioned why music theory and notation were taught as abstractions, dissociated from sound, movements and feelings that they represented. Moreover, by taking the pianist as an example, he asked how the finger technique taught by professors could be considered a complete musical education. Finally, he was intrigued that the qualities that characterize a real musician were rarely experienced in a music class. Dalcroze believed the first instrument that must be trained in music is the body. He developed techniques that combined hearing with a physical response, transferring to a physical response in singing and reading music. He did many experiments with his students, used to help in the process of learning and feeling music. His main goal was to develop the inner ear to facilitate musical thinking, reading and writing music without the help of an instrument. While continuing to build his methodology, he observed his students and noticed that the students who could not play in time in the music world, were able to walk in time in the real world. The walking was completely spontaneous and easy. He observed that some of his best students could tap the beat using their feet, or shake their heads and bodies in response to music. This physical response was natural and common to all ages and cultures. Moreover, he noticed that students would change their movements when following a crescendo, and would respond physically to the accents of the music. They also relaxed their muscles with the endings of phrases. As they seemed to hear the music, feeling its effects, he concluded that the students themselves were the instruments, not the piano. Dalcroze noticed that students had a mechanical understanding instead of a musical comprehension. They were not able to hear harmonies that they wrote in the music theory classes, and they could not create simple melodies and chord sequences. This resulted in a lack of musical sensitivity that caused problems in the performance. His effort was to find ways to help their students to develop skills of feel more, hear, create, imagine, connect, memorize, reading and writing, as well performance and interpretation in music. He worked in order to free the students from the conflicts between mind and body, feeling and expression. Dalcroze realized that the aspects of music that are more connected to the senses are the rhythm and the movement. Regarding the three elements of music: pitch, rhythm and dynamic, he recognized that the last two were entirely dependent on the movement. He also found their best models in the muscular system. For him, all degrees of time (tempi) can be experienced, understood and expressed through the body. He felt that the enthusiasm of musical feelings depended on the sharpness of physical sensations. He was convinced that the combination of intense listening and the responses of the body would generate and release a powerful musical force. Dalcroze needed a laboratory to test his theories. By working with students, he decided to hire his own workspace. He started to look for principles, teaching strategies, teaching styles and methods that could convert music into a practical educational tool. The principles and methods that they developed were unique and new, so they had given a special name: eurhythmics. In the beginning, Dalcroze thought that the solution to many problems would be basically teaching musicians to contract and relax in a specific time (the speed of sound or time), in a specific space (the duration of a sound), and with a particular force (energy dynamics of a sound). Thus, he worked on a new series of exercises designed to help students strengthen their perception by the metric and its instincts by many streams of the movement, called rhythm. Then, he began to propose exercises by playing music and suggesting that students walk as they would feel the pulse. Surprisingly, students acted differently and had difficulties in different tempos. Therefore, he deduced that people still had trouble reaching the goal of speed, accuracy, and performance by being rhythmically expressive. He realized that there could be some system of quick communication between the brain, which understand and analyzes, and the muscles that performs - a system to e from the brain, which studies the performance of the body and sends the information to be corrected. 1. Mental and Emotional: awareness, concentration, social integration, realization and expression of nuances. 2. Physical: to make the performance easier, to make the performance accurate, to develop personal expressiveness through the performance. 3. Musical: quickness, precision, comfort, expressive personal response to the listening, analysis, writing and improvisation. Eurhythmics - Musical expression through movement; developing musical skills through kinetic exercises. The students can learn rhythm and structure by listening to music and expressing what they hear through spontaneous bodily movement. Solfège - Helps develop ear-training and sight-singing skills. Dalcroze utilized a fixed tonic (fixed-do) solfége system believing that all children can eventually develop perfect pitch. Improvisation - Using instruments, movement and voice. In 1905, Dalcroze organized thousands of games and exercises by connecting beautiful music, intense listening, and consciously improvised movement. According to him, the professor must be able to improvise the songs for the activities in the music class. The motion approached by Dalcroze were: movements, postures and gestures to express the tempo, duration, dynamics, accents, and other elements that produce rhythmic material. La portée musicale. Foetisch, Lausanne, sd. Bachmann, Marie-Laure (1993). Dalcroze Today: an education through and into music. Oxford: Oxford University Press. ISBN 978-0198164005. Caldwell, J. Timothy (1995). Expressive Singing: Dalcroze Eurhythmics for voice. New Jersey: Pearson Education. ISBN 9780130452955. Lois, Choksy; Abramson, Robert M.; Gillespie, Avon E.; Woods, David; York, Frank (2001). Teaching Music in the Twenty-First Century. Upper Saddle River: Pearson Education. ISBN 0-13-028027-5. Driver, Ethel (1951). A pathway to Dalcroze eurhythmics. London: Thomas Nelson & Sons. Findlay, Elsa (1999). Rhythm and Movement: applications of Dalcroze Eurhythmics. Van Nuys: Alfred Music. ISBN 978-0874870787. Mark, Michael L. (1996). Contemporary Music Education (3 ed.). Cengage Learning. ISBN 978-0028719153. Vanderspar, Elizabeth. A Dalcroze handbook : principles and guidelines for teaching eurhythmics. London: Roehampton Institute, 1984. Anderson, William T. "The Dalcroze Approach to Music Education: Theory and Applications," General Music Today 26, no. 1 (Nov. 2011): 27–33, doi:10.1177/1048371311428979. ^ Mead, V. H. (1996). "More than Mere Movement – Dalcroze Eurhythmics". Music Educators Journal. 82 (4): 38–41. doi:10.2307/3398915. ^ Mead, V. H. (1996). "More than Mere Movement – Dalcroze Eurhythmics". Music Educators Journal. 82 (4): 39. ^ Lois, Choksy; Abramson, Robert M.; Gillespie, Avon E.; Woods, David; York, Frank (2001). Teaching Music in the Twenty-First Century. Upper Saddle River: Pearson Education. p. 40. ISBN 0-13-028027-5. "Dalcroze Eurhythmics Music Through Movement". Retrieved 2 September 2010. "Emile Jaques-Dalcroze" (in French). Retrieved 2 September 2010.